The Competition is organised by Jacobs & Turner Ltd (Trespass), Vermont House, 149 Vermont Street, Kinning Park, Glasgow G41 1LU. Flashing Men’s Ski Jacket (BLACK). Sizes available are XXS, XS, S, M, L, XL, XXL. These terms and conditions, together with any specific rules set out in Competition Notices (as defined below) are the Competition Rules ('Rules') and apply to any competitions on the www.trespass.com, the Trespass Facebook and Twitter website ("Competition"), unless otherwise expressly stated. By entering a Competition, entrants agree to be bound by these Rules. The prizes are as stated and will not be exchanged for other items unless the products become unavailable. Prizes cannot be exchanged for their monetary value. Trespass reserves the right to cancel or amend the Competition, the Competition Notice or these Rules at any time without prior notice. Any changes will be posted either on the website www.trespass.com or within the Competition Notice or within these Rules or on the Facebook & Twitter pages. A copy of the Rules may also be obtained by sending a stamped, addressed envelope to: Trespass – Ecommerce Department, Vermont House, 149 Vermont Street, Kinning Park, Glasgow G41 1LU. In the event of any dispute regarding the Rules, Competition Notice, conduct, results and all other matters relating to a Competition, the decision of Trespass shall be final and no correspondence or discussion shall be entered into. Competition entries must be made in the manner and by the closing date specified on the Competition Notice or Post. Failure to do so will disqualify the entry. Additional eligibility requirements may apply to a specific Competition, for example a valid passport and visas etc. Employees of Trespass or any company involved in the Competition or, if relevant, suppliers to which a Competition relates, or any advertising/media agency or web company connected with Trespass or any such person's subsidiary or associated companies, agents or members of their families or households, are not eligible to enter the Competition. Trespass reserves the right to verify the eligibility of all entrants. Prizes are awarded at Trespass's discretion and no prizes will be awarded as a result of improper actions by or on behalf of any entrant. Prize winners will be notified in the manner and within the time specified on the Competition notice or Post. Return of any prize notification as undeliverable or failure to reply as specified in the notification within the time stated therein may result in disqualification and selection of an alternative winner. 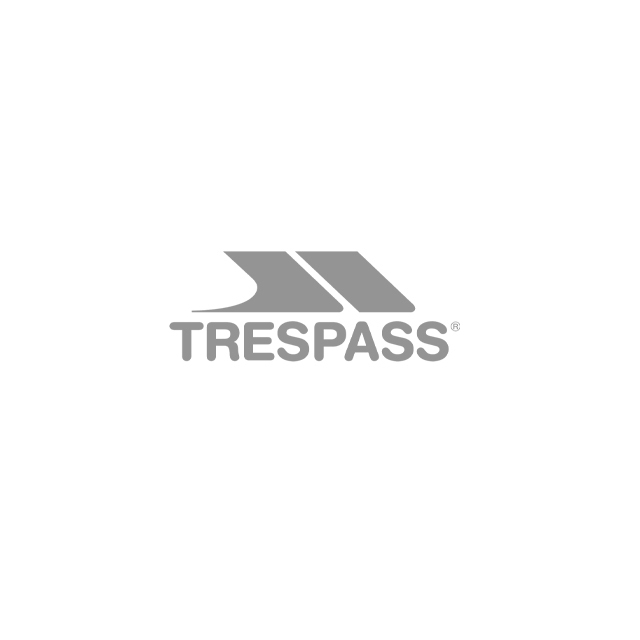 Competition winner(s)' names may be published on the Trespass website, Trespass Social Media Pages or other websites associated with it. To enter, entrants must subscribe to our email newsletter using a valid email address. By entering this competition and submitting your email address, you agree to be added to our mailing list. You can unsubscribe from our emails at any time by clicking the unsubscribe link at the bottom of each email we send. Current subscribers are not eligible. If you have previously unsubscribed within the past 6 months, please not you will not be eligible to enter using the unsubscribed email address. If you submit your email and unsubscribe within the timeframe of the competition, your entry will be void. All entries made after the closing date will not be counted. Participants have 30 days from the day of Trespass notifying them as the winner to respond. Entrants must contact us via the account they entered through. Each participant can only enter the competition once. Entrants cannot like both the Facebook and Twitter posts. Attempt at more than one entry will result on the participant being disqualified. Prize winners will be chosen at random unless specified otherwise in the Competition Notice or Post, from all qualifying entries. In all matters, the decision of Trespass shall be final and no correspondence or discussion shall be entered into. In the event that any entrant is disqualified from the Competition, Trespass in its sole discretion may decide whether a replacement contestant should be selected. In this event, any further entrant will be selected on the same criteria as the original entrant and will be subject to these Rules. Trespass cannot accept any responsibility for any damage, loss, injury or disappointment suffered by any entrant entering the competition or as a result of accepting any prize. Trespass is not responsible for any problems or technical malfunction of any telephone network or lines, computer on-line systems, servers, or providers, computer equipment, software failure of any email or entry to be received on account of technical problems or traffic congestion on the Internet, telephone lines or at any web site, or any combination thereof, including any injury or damage to entrant's or any other person's computer or telephone line related to or resulting from participation in the Competition. Data Collection: Any personal data relating to entrants will be used solely in accordance with current UK data protection legislation and will not be disclosed to a third party without the individual’s prior consent. Tyrona Women's Ski Jacket (PINK). Sizes available are XXS, XS, S, M, L, XL, XXL. Niven Men’s DLX Ski Jacket (BLACK). Sizes available are XXS, XS, S, M, L, XL, XXL. Lara II Women’s Snowboots (BLACK). Available in sizes 36, 37, 38, 39, 40, 41. To enter via Facebook, participants must like the Trespass Facebook page and answer the question stated in the post in the comments of the competition post. To enter via Twitter, participants must Follow the Trespass Twitter page and Retweet the competition post. Fame Girls’ Waterproof Parka Jacket (MOSS). Sizes available are: 2/3, 3/4, 5/6, 7/8, 9/10 & 11/12. Tiffy Girls’ Padded Casual Jacket (NAVY TONE). Sizes available are: 2/3, 3/4, 5/6, 7/8, 9/10 & 11/12. Longton Boys’ Padded Windproof Jacket (CLVOER). Sizes available are: 2/3, 3/4, 5/6, 7/8, 9/10 & 11/12. Holsey Boys Waterproof Parka Jacket (PECAN). Sizes available are: 2/3, 3/4, 5/6, 7/8, 9/10 & 11/12. Each winner will either win 2 girls’ jackets , 2 boys’ jackets or 1 girls’ and 1 boys’ jacket. *Please Note: This scooter is only suitable for children aged 6 and over. Duke 2 in 1 Dog Jacket (RED). Available in sizes XS, S, M, L.
Sundan 5 Metre Retractable Lead (Black). Sippy Collapsible Dog Bowl (Assorted). This Competition is organised by Jacobs & Turner LTD (Trespass), Vermont House, 149 Vermont Street, Kinning Park, Glasgow G41 1LU. Our Festival jacket and wellington boots competition will run from 30/06/17 and will close at midnight on 02/07/17. Qikpac Women’s Packaway Jacket in the colour MOSS. The sizes available are XXS, XS, S, M, L, XL, XXL, XXXL. Damon Women’s Wellies in the colour SHIRAZ. The sizes available are 4, 5, 6, 7, 8. This competition is open to UK residents only except those who are employed by Jacob’s and Turner or are in anyway associated with this company. Upon submitting your entry, participants agree to their name being posted on the Trespass Facebook and Twitter pages when announcing the winner. One winner will be selected randomly from Facebook and Twitter. The winner on each channel must contact Trespass through Direct Message using the account the entered through within 30 days from the date of announcement. Failure to contact within the stated time will result in the winner forfeiting the prize. Another entrant of the competition will then be randomly selected as the winner. The winner will be asked to specify details including their size (if applicable), colour preference (if applicable), their full name and address. Any information provided to us will be kept confidential. If any of the items do not fit or are faulty, Trespass will arrange for the new item to be sent back out once we have received your item back. Entry into this competition will be seen as acceptance and agreement of the terms and conditions stipulated. This promotion is in no way endorsed, sponsored or associated by Facebook, Twitter or Instagram. This competition will take place every Wednesday on our Twitter and Facebook Page and the winner will be announced the following Friday. Competition closes at Midnight on the Thursday. Entrants must like and comment on Facebook. And RT and follow on Twitter. 1 winner will be selected at random from Facebook and Twitter. Competition is for UK residents only except employees of Jacob’s and Turner and anyone else associated with this company. Entrants will only be allowed 1 entry. Attempts at additional entries will result on the entrant being disqualified. They will also be required to send us a private message via their own account, that they entered through, with their address, within 1 week from the winner announcement. Any information presented to us in a private message will be kept confidential. Failure to notify us will result in the prize being forfeited. Another entrant of the competition will be selected at random as the winner. The winner should also specify the size, colour etc. they require. If any of the items do not fit or are faulty, Trespass will arrange for the new item to be sent back out once we have received your item back. All entries made after the closing date will not be valid. This competition is not endorsed, sponsored or associated by Facebook, Twitter or Instagram.